At Reitmeier, we believe that our company exists to help make the world a better place for future generations, and bring the absolute best service to our customers. This belief means hiring the best team members, ensuring that they are well-trained, and providing growth opportunities within our company. Unfortunately, we found this was proving to be a tall order. Faced with high school technical programs being cut, vocational schools closing their doors, and a high percentage of the workforce getting ready to retire – finding capable technicians to join the Reitmeier team was becoming an increasingly difficult task for us. And we weren’t alone: For the last few years, this Talent Shortage Survey of more than 1,300 employers reports that the hardest segment of the workforce to fill is the skilled trades – and that skills gap is only expected to grow. It became apparent that the only way for us to tackle this mounting industry trend was to get creative. Rather than relying on existing (and deteriorating) recruitment and training methods, Reitmeier rewrote the book on growing the workforce of tomorrow. Our first step was to build deliberate, sustainable relationships with associations who share our values. Reitmeier is a proud member of both the Associated General Contractors of America (AGC) and Associated Builders and Contractors, Inc. (ABC). These organizations are committed to the advancement of America’s skilled trades. Through these key affiliations, we support our trade and promote positive solutions for the industry. 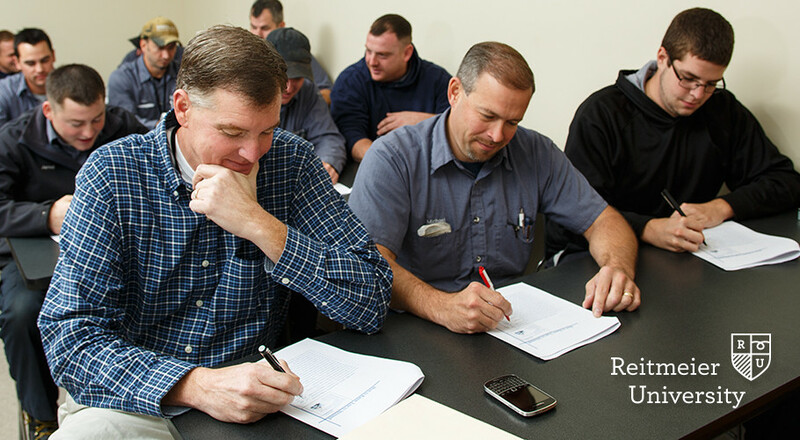 As an extension of one of these partnerships, Reitmeier facilitates ABC’s successful apprenticeship program, which produces trained, qualified technicians – and arms them with a toolbox of highly-specialized skills, on-the-job experience, and a certificate of graduation from a state board-certified HVAC technical trade school. They leave the program with robust technical expertise and employability. By committing to the development of people in the skilled trades, we are building the future success of our American workforce. As technologies change and become more sophisticated, not all skilled workers are able to keep up. Rather than shying away from this truth, Reitmeier leverages these technologies to pioneer innovative solutions like our proprietary pre-installation process and systems design services, while relentlessly meeting and exceeding the expectations of our clients. With fewer trade and vocational schools, education for skilled-trade workers is dwindling. That’s why Reitmeier is completely changing the game of recruiting and educating people. Instead of trying to hire them when they graduate a trade school, we’re bringing them in right from high school. We are thrilled about our new program – “Reitmeier University.” Our innovative and comprehensive curriculum is a complete training program for our new hires to teach them everything they need to know on the job. 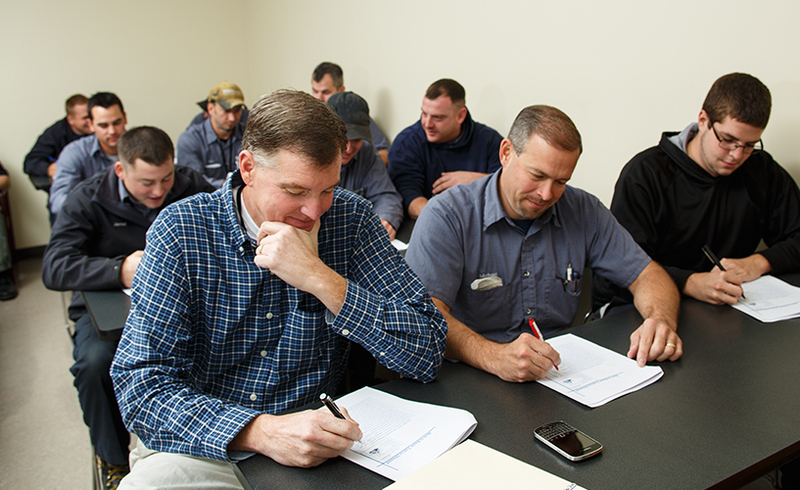 We partner each new hire with an experienced Senior Level Technician who mentors them along the way, showing them the best ways to tackle real-world HVAC issues. A new paradigm for our field, Reitmeier University will help develop industry talent, empower our employees, and grow the next generation of skilled-trades workers. A lack of skilled workers can have huge consequences to business performance. By committing to the future of the skilled-trade workforce, Reitmeier is doing more than just producing new industry talent. We are investing in the future of our economy, our industry, our company, and our people – and as always, ensuring that the service and quality we provide to our customers is never compromised. Want to learn more about how Reitmeier is leading the way, or interested in joining the Reitmeier team? Contact us today or visit our Career Center.